Today was a great day. I hopped on my bike and took off. Partway through my cruise around town, I decided to hit the river trail. It was a beautiful day – about 40-50 degrees, sunny, and no wind. Along the trail is a lookout over the Mississippi. One direction looks over the Lock & Dam, the other looks over the bridge. I love that lookout – especially the fact that you can see so far in each direction. 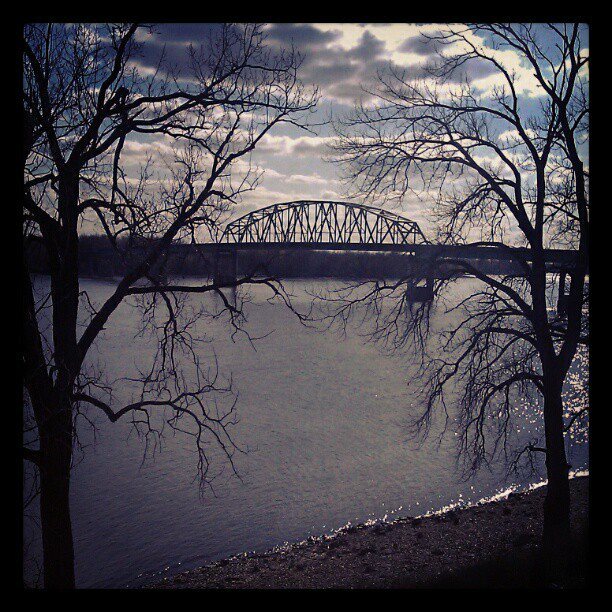 There’s something about living so close to the Mississippi that is awe-inspiring. There is so much power in that water and so much history on the river that to know that for the last 37 years it’s been within reach is humbling. It was a good ride. It was 11 miles in 1:07. I had some good mileage splits and some others that weren’t so great, but at least I got out. I think that I am going to spend some time in the next few months building up my endurance on my bike and maybe making a few modifications to it. Plus, this is an activity that we can do as a family (as long as the weather is nice).